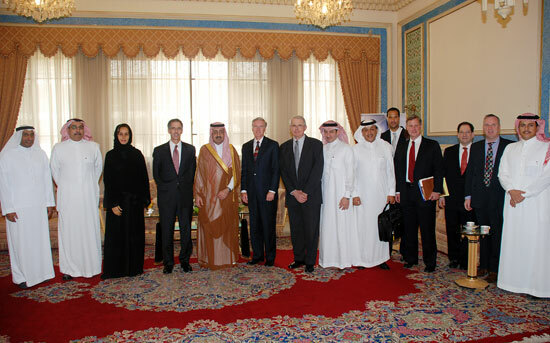 On a visit to the Kingdom, Mr. Shephard W. Hill, President of Boeing International made an important stop over at the Late King Faisal’s Palace- Riyadh to be welcomed by HH Prince Bandar Al Saud, Chairman of Executive Committee, and Alfaisal University Leadership. 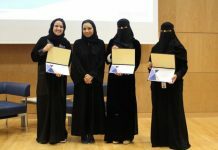 As one of the founders of Alfaisal University and the world’s leading Aerospace Company, Boeing were presented to the latest updates on the progress and achievements surrounding the emergence of the world class University, Alfaisal. 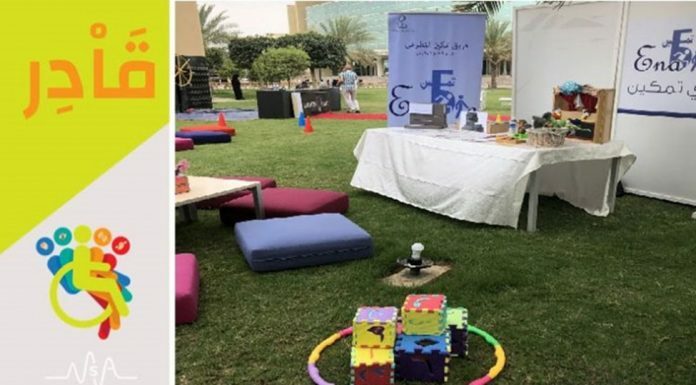 The presentation took place in the Late King Faisal Palace, on Sunday 4th May. HH Prince Bandar made opening comments, which was followed by an informative presentation by Dr. Alan Goodridge, Provost, and Vice President for Alfaisal University. The President of Boeing International was taken for a guided tour of the emerging high- tech university campus, which has the capacity to accommodate approximately 4000 students and home to four colleges, Medicine, Engineering, Science & General Studies and Business studies. Alfaisal University upholds its core values and is consciously involved in building worldwide partnerships for growth and prosperity. Alfaisal has a commitment to develop affiliations and collaborations with leading global corporations, institutions and organizations. Boeing has a long tradition of leadership in education through its extensive educational activities all over the world. Boeing as a founder and main supporter to research and the Engineering program will be providing educational and Research support as well as technical advice to the University. 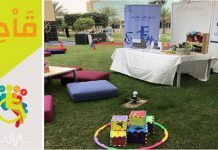 Alfaisal University and Boeing advocate the tradition of leadership, innovation, and giving back to our communities. 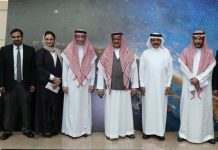 The timing of this visit could not have come at a better time as Alfaisal University prepares to launch their Aerospace Engineering program next month.